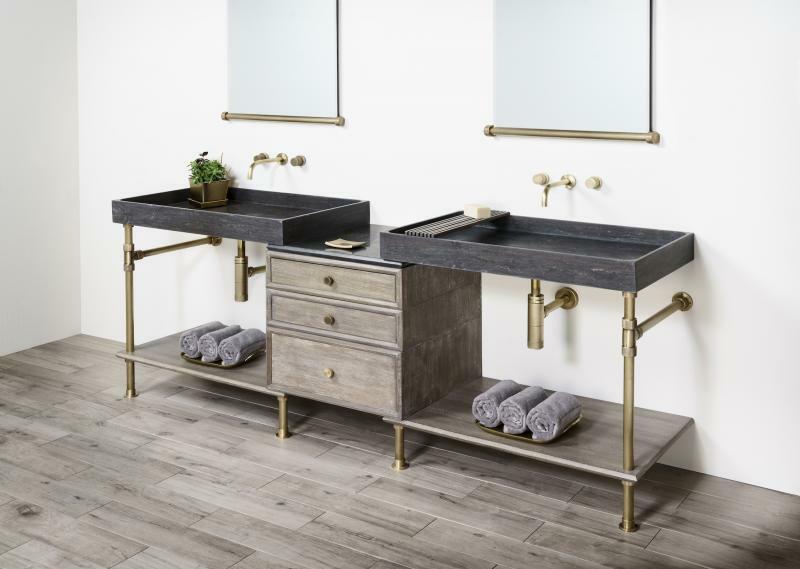 Santa Fe, N.M.-based bath and garden products brand Stone Forest has unveiled a flexible system made up of various components that create a customized vanity. 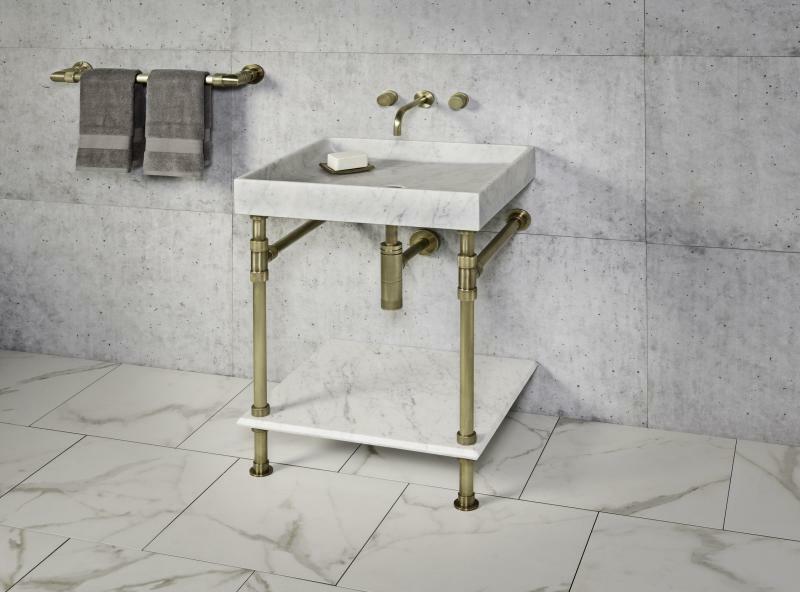 Stone Forest says the collection of vanities and integrated sinks consists of brass legs with knurled fittings that support a combination of components. 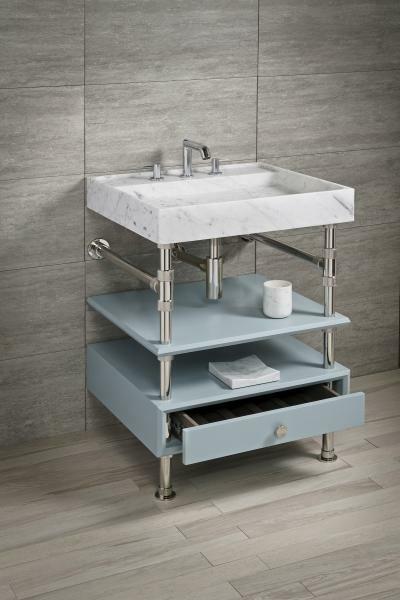 Elemental’s modularity allows end-users and specifiers to combine integral stone sinks, wood drawers, and steel or wood shelving in near unlimited combinations to create bath consoles and stand-alone storage systems. Legs and fittings are available in either aged brass or polished nickel and the wood drawers can be custom painted if the standard blue doesn’t suit the room. The collection is available as a single or double vanity with a choice of two Stone Forest sinks: Ventus and Terra. Founded in 1989, Stone Forest announced recently that the Elemental Collection won the Product of the Year Award from the Decorative Plumbing & Hardware Association. The company produces a wide selection of vessel and pedestal sinks, bathtubs, furniture, fountains, and outdoor sculptures from natural materials such as stone, bronze, copper, iron, bamboo, and hardwood.